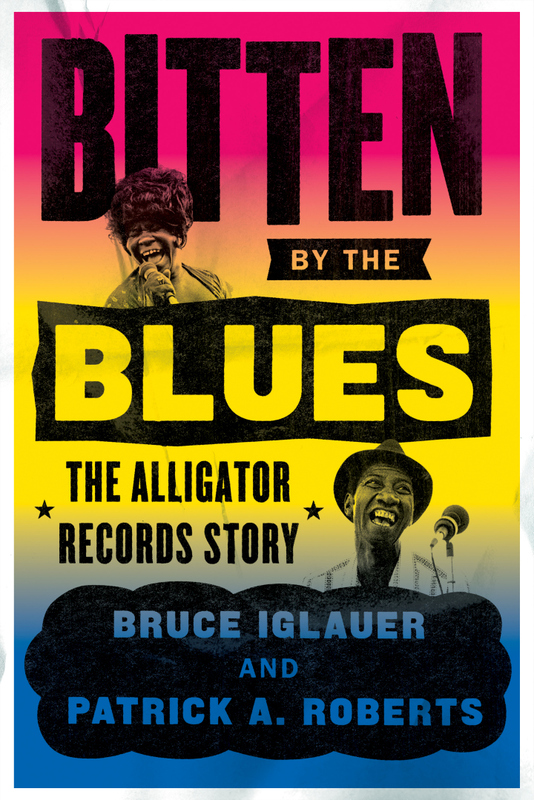 CHICAGO, September 19, 2018 – The University of Chicago Press will publish the official memoir of Alligator Records, “Bitten by the Blues: The Alligator Records Story,” on Oct. 30. Few record labels have influenced the blues world as much as Alligator Records. And few people have worked with as many legends as Bruce Iglauer. After nearly half a century of a life immersed in the blues, now we get the whole, unvarnished story from Iglauer himself. This is the first book to tell the whole story of the iconic record label. It is a remarkable, behind-the-scenes look at the highs and lows of the music business. And it’s a personal story of blues in Chicago and around the world. From first hearing Hound Dog Taylor at Florence's Lounge on Chicago’s South Side to building Alligator Records one release at a time to running the biggest blues label in the world, Iglauer and Roberts take readers on a fifty-year journey through the blues from local Chicago bars to festival stages across the globe. Bruce Iglauer is the president and founder of Alligator Records, the largest contemporary blues label in the world. He is a Grammy-winning producer and was inducted into the Blues Hall of Fame in 1997. Iglauer was a founder of National Association of Independent Record Distributors and is a cofounder of Living Blues magazine. He is also a founder of the Chicago Blues Festival and codirector of the Blues Community Foundation, which is dedicated to supporting blues music education and assisting blues musicians and their families who are in need. He received the American Association For Independent Music (A2IM) Lifetime Achievement Award in 2014. Patrick A. Roberts is associate professor in the College of Education at Northern Illinois University. He is coauthor of Give ‘Em Soul, Richard! Race, Radio, and Rhythm and Blues in Chicago.